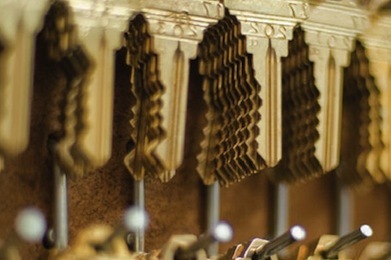 Are you looking for the best Atlanta locksmith who will always be there to get the job done efficiently and correctly? Tired of shady, fly-by-night companies not giving you the service you deserve? Especially when it comes to the safety and security of your home or office, it’s important to find a trustworthy name to be your go to locksmith. For a company you can count on with all of your locksmith needs, from residential to commercial to automotive, the name to know in metro Atlanta is Reliable Locksmith. So what makes us the best? 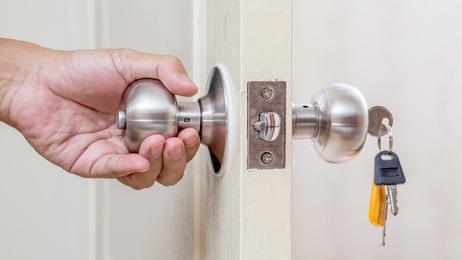 Well, we’re the full service solution to all of your locksmith problems, from changing out locks, to advising on hardware, to upgrading the security on a commercial property. Our team of professionals is constantly going through training on the latest in new technologies and products on the market. Besides expertise, our employees are also trained in courteous service and carry with them the values that define our business. As a family-owned and operated company, based in Dunwoody, we embody the small business ethos of hard work, attention to detail, and great communication with our clients. Whether you’re a large corporate account, or a first time customer looking for home rekeying, you can expect the same level of service and attentiveness from our entire team. Just remember, for the best Atlanta locksmith capable of handling emergency lockouts, hardware consulting, and much more, our team of credentialed and trained technicians here at Reliable really lives up to the name! Looking for Pros? The Best Atlanta Locksmith Company is Here! So besides great service and trustworthiness, what makes Reliable Locksmith the best Atlanta locksmith? First and foremost, it’s all about being certified and credentialed in the field. Not all locksmith services are created equal, and many might be masquerading as more than they truly are. Not so with our team, who are trained to properly perform the services we offer, and always striving to be ahead of the curve on the newest technology and hardware available to our clients. With our extensive knowledge and experience, we’re also happy to serve as consultants for anyone who is unsure about the right steps needed to secure a home or office. Ready to upgrade exit doors at the shop? We’ll show you all the options. Need to step up access control in your building? We know how. Tired of your old, drab door hardware? Let us show you all the beautiful possibilities that await! Beyond our advice and the quality behind our work, you can also expect fair and accurate pricing, without any hidden fees or gimmicks. Plus, you can have full faith that we’re properly licensed and insured for all of our services, and you can rest easy knowing that we only use the finest in materials from great names such as Delaney, Medeco, and Schlage. So for the best Atlanta locksmith you can trust with all of your home and office security needs, just make the call to Reliable and get great service anywhere in metro Atlanta.